I met with Brian Sunday January 28th at 11:30am to work on our Design Thinking Crash Course assignment. We used Google hangouts and our cell phones to communicate. It was interesting to work with a partner, as this was the first time I had to a video conference with another student to complete an assignment. In 90 minutes you will be taken through a full design cycle by participating in The Gift-Giving Project. This is a fast-paced project where participants pair up to interview each other, identify real needs, and develop a solution to “redesign the gift-giving experience” for their partner. What did you think of the Design Thinking Crash Course? The Design Thinking Crash Course was a very positive experience for Brian and I. Brian was partner A for this assignment and I was partner B. It was interesting following his thought process while conducting my own. We bounced ideas off each other during the process while allowing each other to think freely and understand the problem we were solving. Brian admitted that his gift experience was not as exciting as mine. However, after we got past the “Dig Deeper” section his opinion changed. “Dig Deeper” was definitely my favorite section during the assignment. “Dig Deeper” allowed me get through to the emotional side of my users needs and problem. How did it contribute to your understanding of the Design Thinking process? Design Thinking was what this assignment was all about. 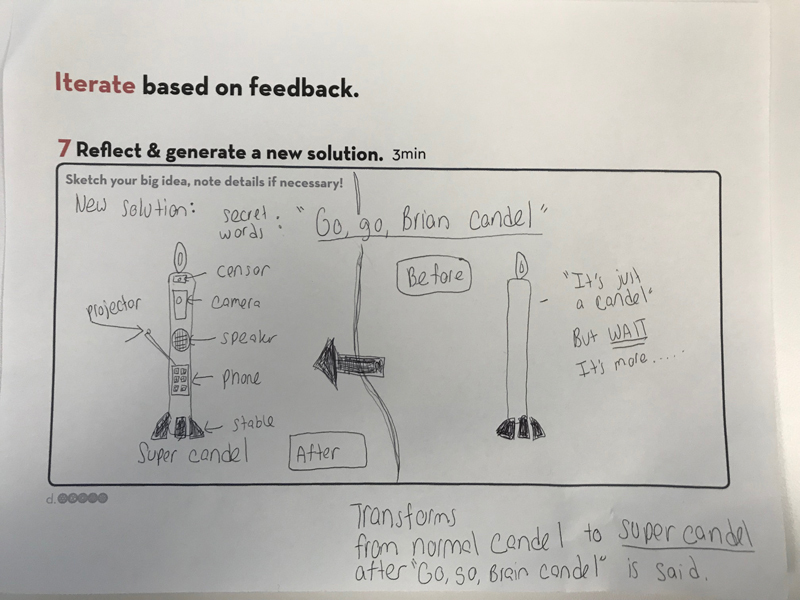 Breaking our assignment into sections using our Crash Course Worksheet allowed Brian and I to focus on solving our problems and create a human-centered design. It was evident that we were analyzing the four key elements of design thinking we discussed earlier in Module 1. Brian and I made sure to ask personal questions to gain a deeper appreciation and understanding of each others emotional and physical needs. The most challenging part of this project was staying on top of the objective. We both had great ideas, but were they backing up our objective or were we going off topic? 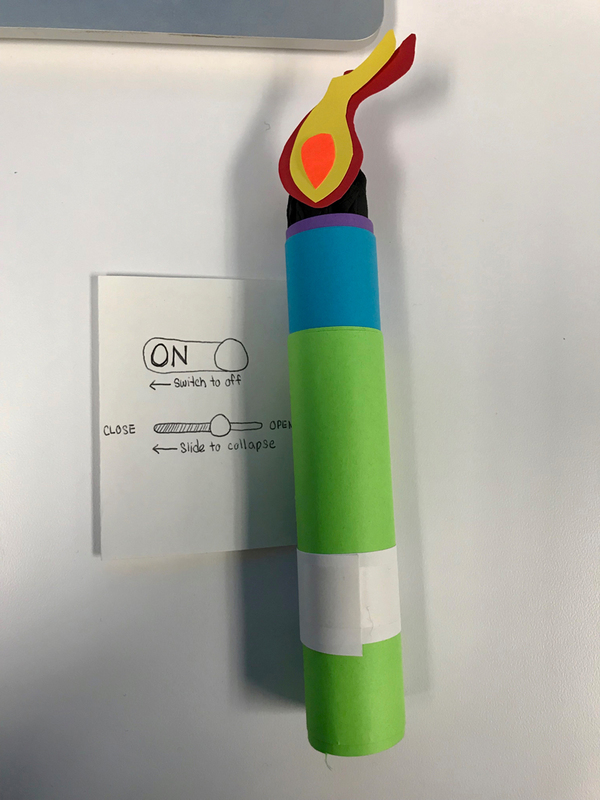 For an example, Brian’s gift was a remote control candle with a switch that can easily turn it on and off. His battery operated candle sounded pretty cool, but really there was a deeper thought behind the gift that made the uniqueness extra special. He purchased the candle at Yankee Candles to give to his boss for Christmas. After asking more personal questions about his relationship with his boss as well as what he was looking to accomplish, is what triggered new ideas to form. What if this candle were motion censored or had a pop out projector that his boss could watch her favorite football team from? Before I knew it Brian’s candle transformed from a battery operated candle to a “Go go gadget candle” (aka “Go go Brian candle”). It seemed super fun to design, but was it solving his problem? It was clear that Brian’s problem was that he needed a gift that show appreciation. Although, this was true it was not reflecting in my design sketches. Well, not as much as I would have hoped. Then it hit me, Brian’s boss owns a collection of candles. What if this candle could conserve space? 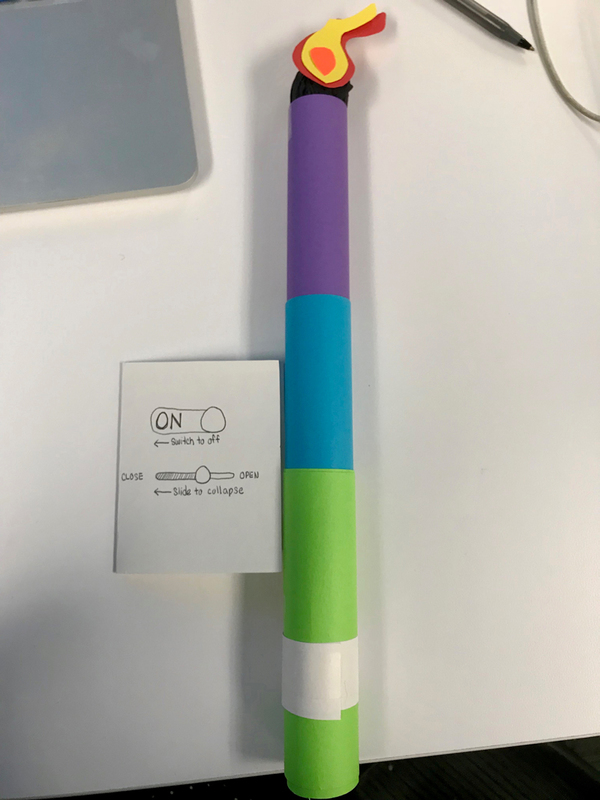 Maybe there was a way we could create a collapsible candle along with including a personal message? This would allow his boss to have more space for candles in her collection and serve as a remember-able piece from her co-worker. What would you do differently if I were to make you do it over again? This assignment was very different from anything I have ever done. It certainly encouraged creativity which is a skill that is constantly improving with experience. If I were to complete this assignment again my partner and I would be more aware of the time allocated for each session. Brian and I went over the time limit a couple times while conversing in conversations about our gift buying experience. It took us well over 90 minutes to complete the video, however learned a lot during this time. I think if I were to to change the assignment, a good idea would be to do the same process but with the motive of making a time capsule that reflected your partners life. Keeping it as simple as possible designing something to show who this person was to the future generation.